Who replaced Angelica Panganiban in Julia Montes-Lorna teleserye? Shaina Magdayao (right) replaced Angelica Panganiban (left) in the upcoming teleserye starring Julia Montes (middle), Lorna Tolentino, Paulo Avelino, and new Kapamilya Aljur Abrenica. Agot Isidro revealed that a new ABS-CBN actress will take over the role of Angelica Panganiban in the upcoming teleserye Asintado. Shaina Magdayao is now one of the lead stars of this TV series formerly titled Victims of Love. When PEP.ph (Philippine Entertainment Portal) spoke to Agot during the October 25 presscon of Cinema One Originals, Agot revealed that she will play Shaina's mother in the series. Since Shaina was not announced as part of the cast, PEP.ph asked Agot to confirm if the young actress is already taking over the role of Angelica. The 51-year-old actress answered, "Yes! Siya na ang final." 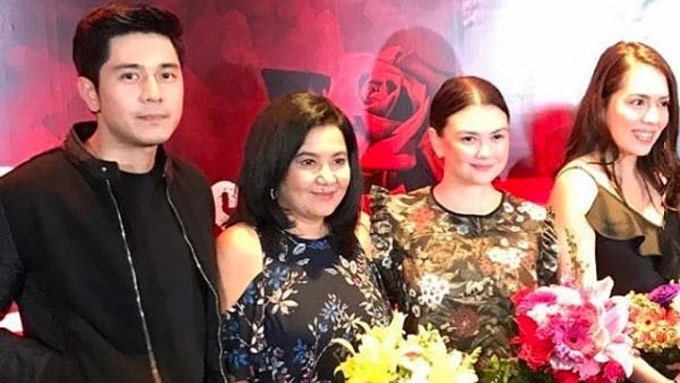 According to a report last August, Angelica had to drop out of the teleserye since she was busy doing two film projects: Wife, Husband, Wife with Angel Locsin and Richard Gutierrez as well as Ang Dalawang Mrs. Reyes with Judy Ann Santos. Isabelle Daza was rumored to replace Angelica in the series. However, Agot said, "Nabuntis 'ata si Isabelle. I don't know what happened." It was announced last September that Isabelle is pregnant with her first child to husband Adrien Semblat. Agot is happy that Shaina is now portraying her daughter in this upcoming Kapamilya series. "I'm glad, kasi si Shaina gumanap na ng anak ko, e. And she's a very good actress." Prior to Asintado, Shaina and Agot worked with each other as mother-and-daughter ten years ago in the short-lived fantasy series Rounin (2007). Some netizens posted behind-the-scenes photos of Shaina portraying her character Samantha. Last May, it was announced that Julia Montes and Angelica will top-bill Asintado. Their co-stars include Paulo Avelino, JC Santos, Cherry Pie Picache, and returning Kapamilya Lorna Tolentino. According to reports, Lorna will play a political strategist inspired by Olivia Pope, the main character in the U.S. series Scandal. ALJUR ABRENICA. 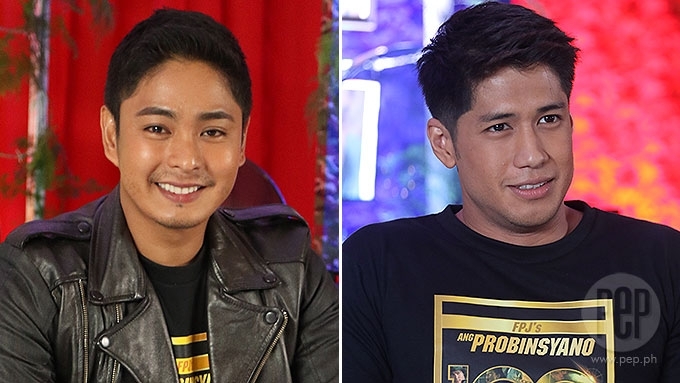 Asintado marks the first time that new Kapamilya Aljur Abrenica will take part in a regular teleserye in his new home network. The 27-year-old actor, who transferred to ABS-CBN last August, first appeared in FPJ's Ang Probinsyano as a guest actor. After his character was killed off in Ang Probinsyano last September, Aljur started doing workshops for Asintado together with Julia. On his Instagram account, Aljur posted his photo while taping with one of Asintado's directors, Lino Cayetano. When PEP.ph asked Agot if she already taped scenes with Aljur, she simply said, "Wala pa, kasi si Aljur, sa side ni [Cherry] Pie yun, e."
Fans of Julia uploaded behind-the-scenes photos on social media. In one photo, Julia could be seen taping a sweet scene with leading man Paulo Avelino. Based on its title Asintado, it seems that the teleserye is in the action genre, just like FPJ's Ang Probinsyano. "Malaki, ibang... more political yata ito. Dun kapulisan, ito mga senator." Since Agot is known to be very outspoken about her opinions regarding the Philippine government, is she okay doing a TV series that tackles politics? She answered with a laugh, "Oo, okay lang sa akin. Okay lang ba sa kanila? Smiling, Agot quickly clarified, "It's work! It's a role!" Asintado will be helmed by directors Onat Diaz and Lino Cayetano. The project is scheduled to air on ABS-CBN in 2018. No final timeslot has been announced for the show.